Mangaluru, Jan 11, 2017: Families of those affected by the Endosulfan insecticide in Dakshina Kannada have been demanding that the government started a permanent care centre to assist in the care of victims, but it seems that their demands have fallen on deaf ears and also they are blind. Many families are seriously disturbed in DK and Udupi. Constant worry about their children/siblings bedridden from the past several years due to effects of the insecticide. They are dogged by worry as to who will take care of them after the demise of the able family members. According to sources days ago, another family committed suicide as they were worried about the effect the insecticide had on their son and his future. 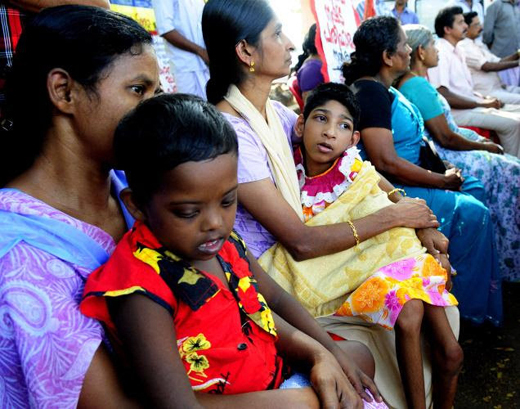 Endo Virodhi Horata Samithi president, Shridhar Gowda, who claims to be an Endosulfan victim, said that their only demand was that the government initiated a permanent care centre with a physiotherapist and a staff nurse to support and fill gaps in the care of the needy.